Want to join a team of dedicated animal lovers and help abandoned and unwanted animals across Gloucestershire? 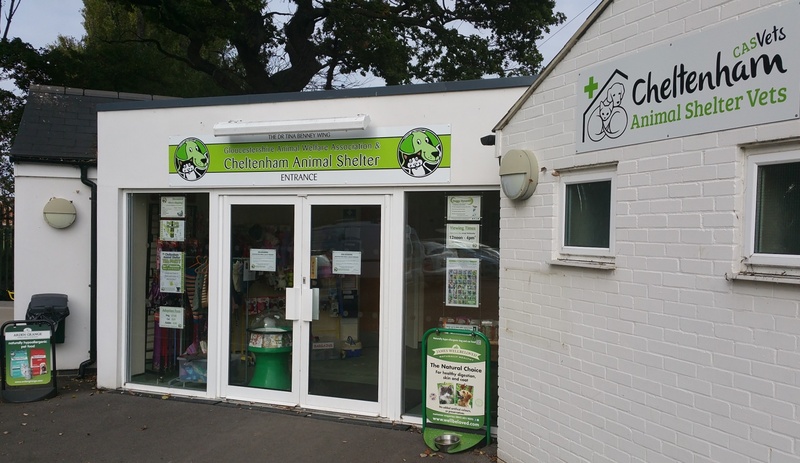 Vacancies at Cheltenham Animal Shelter will be published below when they become available. We will publicise these jobs on Facebook and Twitter, so be sure to follow both accounts. Any future roles will be advertised here and on our Facebook page. Providing a home to an animal on a temporary basis is an incredible way to help those that really need it. We often require people to look after animals that are struggling in a Shelter environment for a number of reasons. However, being a foster home for animals is not for everyone and so we have very clear guidelines on what we require. To learn more about fostering CLICK HERE and if it is something you feel you could do then please get in touch. 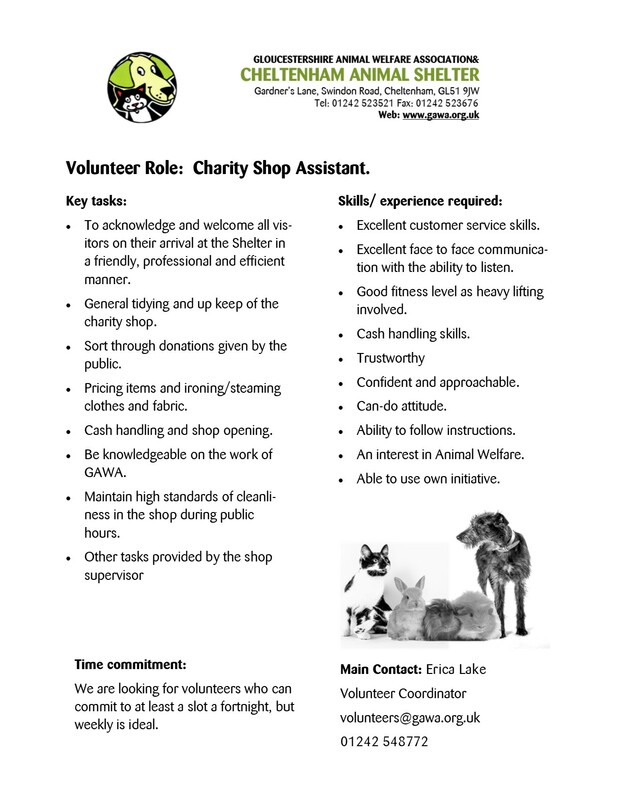 The Charity Shop is a key source of income for the Shelter, and is staffed almost entirely by volunteers. We sometimes require new volunteers and welcome applications at those times. Some flexibility may be available, where it fits the needs of the shop. 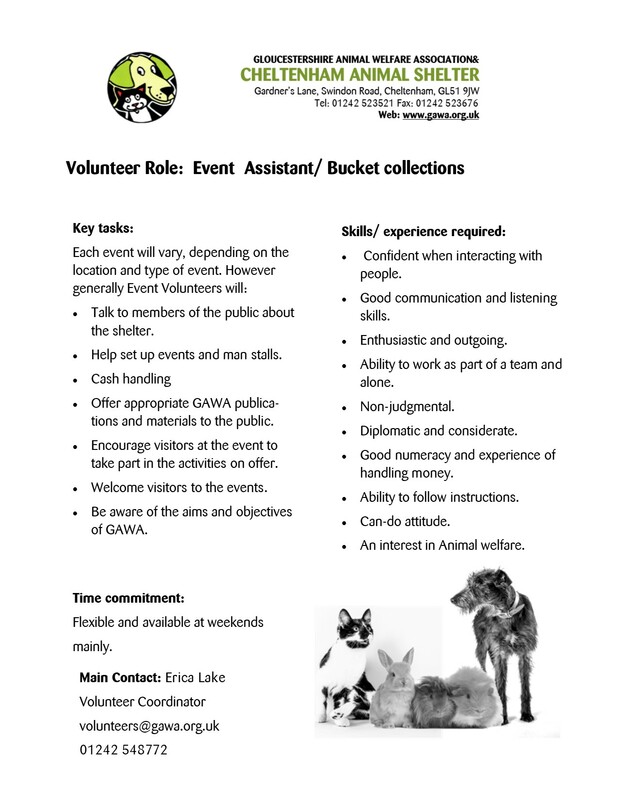 We require confident, outgoing individuals to assist the public and represent the Shelter, and given the nature of the work a reasonable level of mobility would be required. You would normally be working in groups of 2-3 per shift. If you have any questions please do get in touch; either pop in and chat to us, call 01242 548772 or email volunteers@gawa.org.uk. Full training will be provided to successful applicants (please note references/ DBS checks may be required for some roles). The Charity is currently full to capacity for all other animal related volunteer duties. All volunteers need to be at least 18 years of age.